A forklift operator approaches a crate of material to move it in this May 2018 file photo of construction of The Jackson Laboratory's new mouse vivarium in Ellsworth. The Lab has sued the Vermont firm it hired to complete the project in federal court, alleging that project delays have contributed to a breach of the $47 million construction contract for the project. The new Jackson Laboratory building in Ellsworth as pictured July 6, 2018. 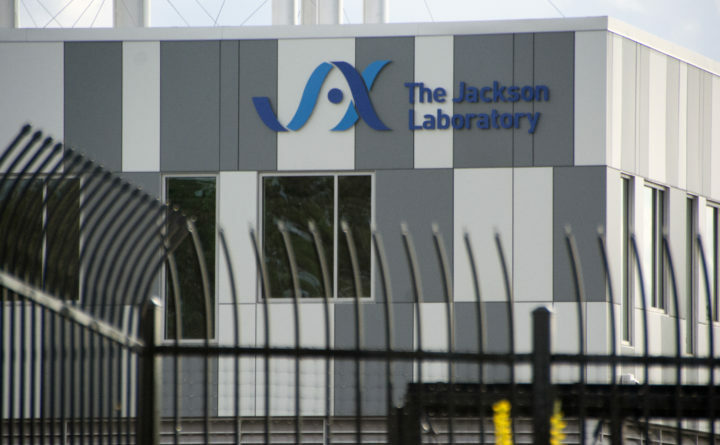 The Jackson Laboratory is suing the builder it hired to build its new mouse-production facility in Ellsworth, saying the firm was more than six months behind schedule and that its work was defective. According to a complaint filed Wednesday in U.S. District Court in Bangor, Jackson Lab alleges that the firm, PC Construction Company of South Burlington, Vermont, poured defective concrete floors in the building. Jackson Lab hired PC Construction in March 2017 to construct a new mouse reproduction facility at the former Lowe’s site on Beechland Crossing for a maximum guaranteed price of $47 million. The project was supposed to be mostly completed almost a year ago, by Jan. 25, 2018, but construction did not reach that point until Aug. 7, 2018, “over six months behind schedule,” Jackson Lab wrote in the complaint. Jackson Lab claims the construction firm did not fix the concrete problem quickly or efficiently, that it mismanaged the project, and that the firm has denied responsibility for the delays and sought additional compensation to which it is not entitled under the contract. Lab officials also wrote in the complaint that a subcontractor has filed a mechanic’s lien against the project in the Hancock County Registry of Deeds because PCC hadn’t paid it for work it performed at the site. 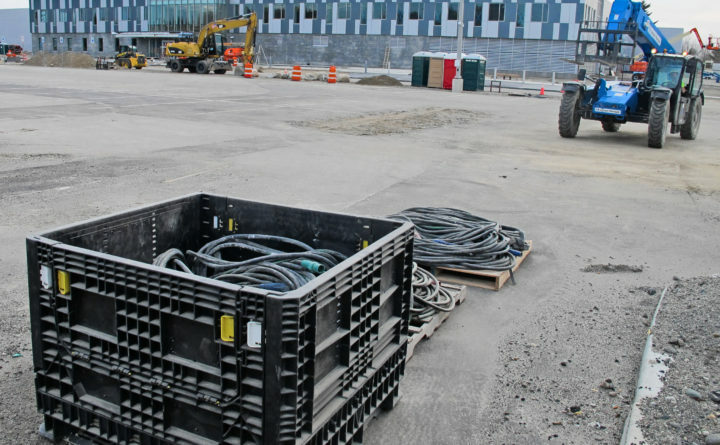 According to documents on file at the registry, that subcontractor is Maine Fire Protection Systems of Bangor, which says it is owed $260,000 for work it did at the site last fall. A mechanic’s lien is a type of legal claim to a property aimed at securing payment for work done to improve that property. Jackson Lab is renovating the former home improvement supply store into a facility for reproducing mice specifically bred for scientific research at the Bar Harbor lab and for other biomedical researchers around the globe who purchase mice from the lab. The lab expects to move most of its mouse production capacity to Ellsworth from its main campus in Bar Harbor over the next few years. The full build-out of the facility is planned out over four stages, with full completion expected by 2026, lab officials have said. As many as 350 people are ultimately expected to work at the vivarium. A spokeswoman for PC Construction Company also declined to comment on specific allegations in the lawsuit and said the company was “disappointed” that the lab has filed the suit.